As a certified oncology genetic counselor, Mandy works with patients who have a personal and/or family history of cancer to assess their risk of having an inherited cancer predisposition. This information allows for the pursuit of early detection or possibly prevention of certain cancer types. The ultimate goal of cancer genetic counseling is to empower patients to use their personal risk information to better inform treatment and management decisions and to educate family members on their possible cancer risks. Mandy obtained her Bachelor of Science degree in Psychology from Arizona State University in 2013. She then went on to pursue her Master’s Degree in Human Genetics from Sarah Lawrence College and graduated in 2016. Her training in genetic counseling included clinical rotations at several locations throughout New York City, including Columbia University Medical Center, Mount Sinai Beth Israel, and Bellevue Hospital. Prior to pursuing her graduate degree, Mandy worked for the National Suicide Prevention Lifeline. 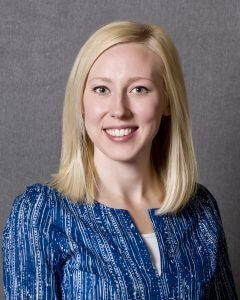 She is also a member of the National Society of Genetic Counselors and of the Cancer Special Interest Group. Outside of work, Mandy enjoys exploring Arizona, traveling, and spending time with her family, friends, and two golden retrievers. She is happy to be part of Ironwood Cancer & Research Centers and to manage a genetic counseling department based on individualized care, patient education, and supportive guidance. Please ask your Ironwood Cancer & Research Centers doctor for a referral to see our genetic counselor.